As you all know here at FatStick (aka Fat Stick) we take stand up paddle boarding very seriously. 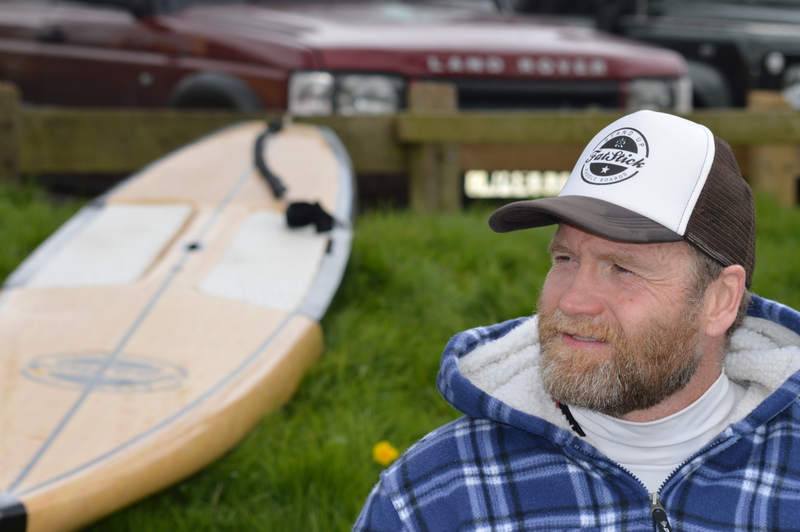 For a number of years now we have been producing low priced all round SUP boards for the masses, but wanted to push ourselves further. After a consultation with SUP racer Will Littleboy we decided to produce a stunning 14ft bamboo race sup and sponsor the man to race for us. Will has been doing the race circuit for sometime, and we were super stoked to have him on our team! Below is a little write up by Will of the first race of the season- The well known 9 mile long “Head of the Dart Challenge”. We were so happy when Will reported back to us that he came in 3rd place in the 14ft Leisure class catagory. This result just goes to show that despite our boards being low priced, in the right hands they can perform very well against the big corporate brands! If you would like more information and prices of our FatStick 12’6 or 14ft Bamboo Race SUP then click here. After a 3 hour drive to Dartmouth we met up with friends at the Little Cotton Campsite just outside town. Having parked up we then joined them to eat dinner together and swap stories before having a play on their land SUP. It got a bit nippy outside so we all bundled into my mates van for a cuppa before bedtime and discussed race tactics (paddle hard!). 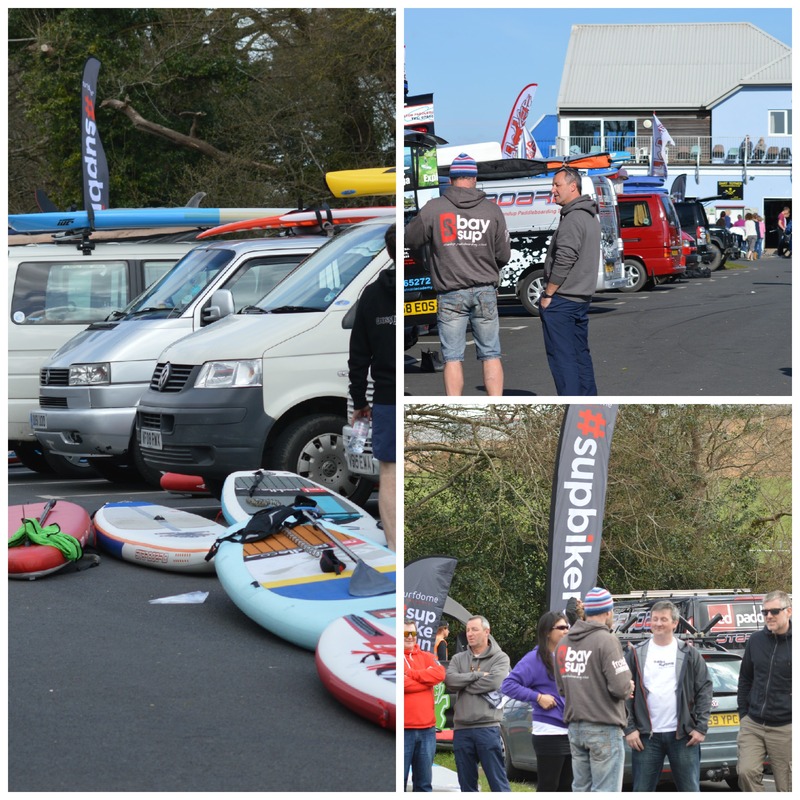 Totnes Rowing Club car park was rammed with paddle boarders from all over the country ready to take on the Head of the Dart challenge 2015, with over 140 competitors taking part. There was a real sense of excitement as the first race of the new season was about to be underway. Launching, starting the race and paddling to 3rd place in the 14” leisure class in 1 hour 26 minutes. The course was originally from Totnes to Dartmouth, but due to high winds was modified to start at Totnes, turn at Duncannon and return to Totnes with some challenging conditions at the turn knocking a lot of paddlers into the water! Chilling out after the race- tired out but happy. The next morning, after celebrating with a huge meal out the night before. Homeward bound, all ready to catch the Dartmouth ferry. 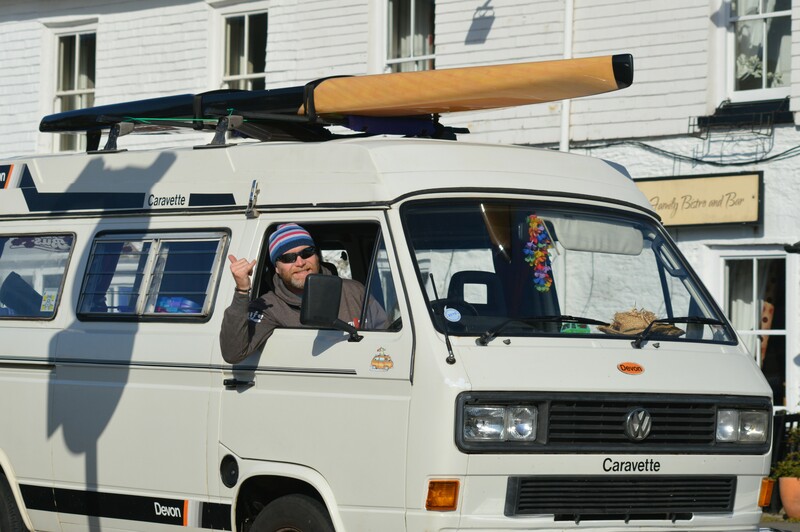 This entry was posted in SUP racing and tagged Dartmouth, Devon, Head of the Dart 2015, race, SUP racing, Will Littleboy. Bookmark the permalink.